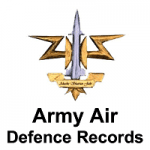 Army Air Defence Records Recruitment | 2017 | 19 Post | Lower Division Clerk (LDC) Posts: Army Air Defence Records, Odisha has published recruitment notifications for 19 posts of Lower Division Clerk (LDC) post. More information please read below mention details carefully. • 12th Class or equivalent from a recognized Board or University. • Hindi typing @ 30 WPM on computer. How to Apply : send their applications in prescribed format along with all relevant documents to given below mention address.